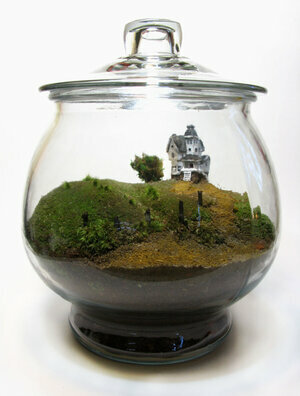 Miniature glass and jar terrariums (€140 – €260) from Etsy store Face of The Earth: self-contained bryophyte ecosystems incorporating tiny scenes inspired by TV and movie sets. 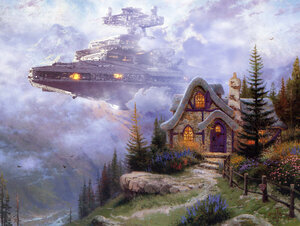 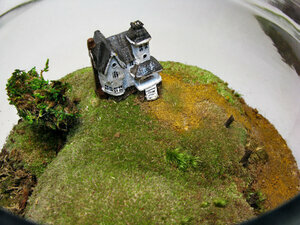 Above: the Beetlejuice house, the Crystal Ship RV from Breaking Bad and a Tolkienish hobbit hole. 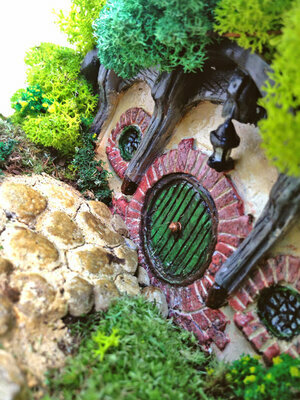 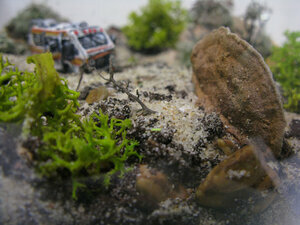 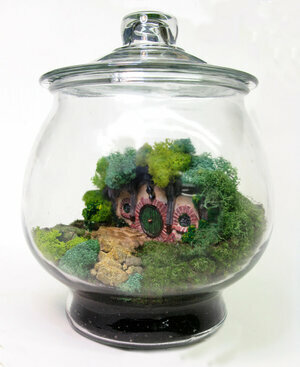 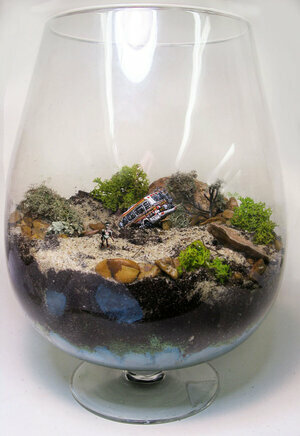 Posted in Art/Craft, Film and tagged miniature, terrarium at 4:16 pm on March 14, 2013 by Broadsheet.